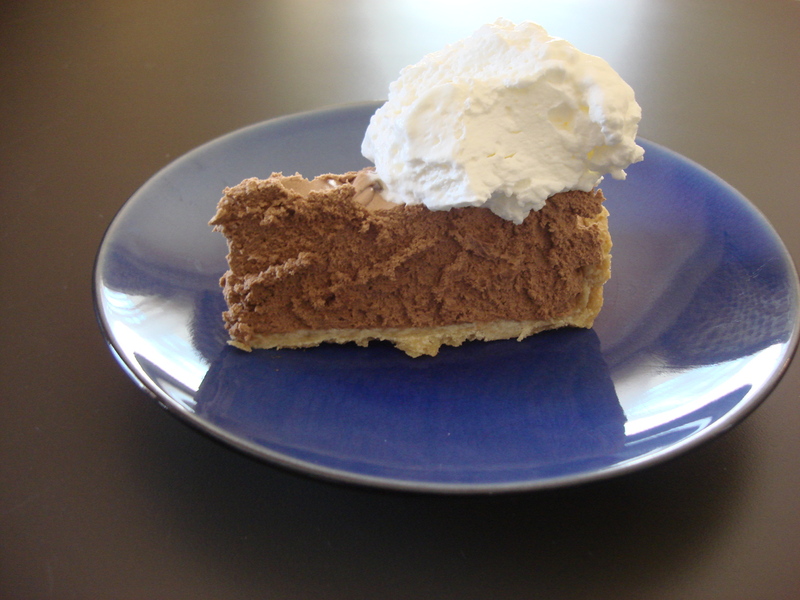 I made this on Pi Day. Do you know about this holiday? 3.14. Pi. Get it? I hope your March 14th was delightful. And Pie-full. If not, there is always next year. 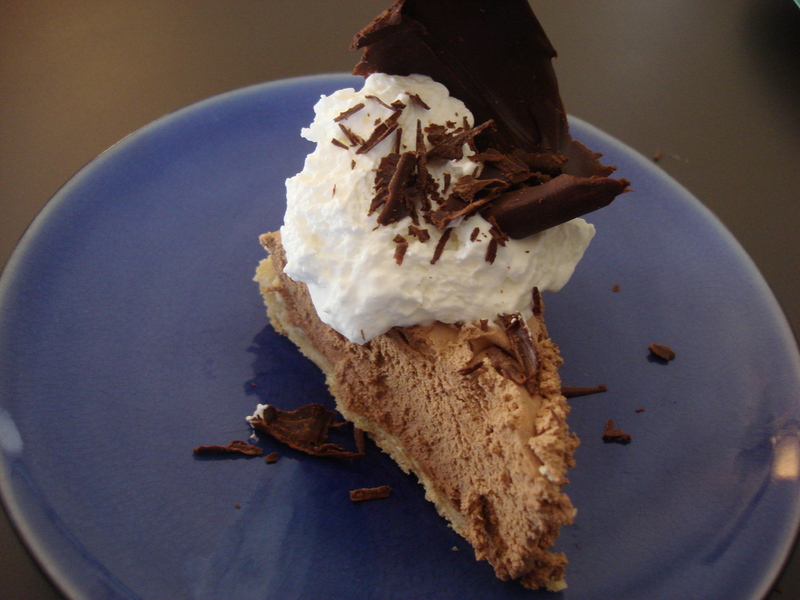 Some forewarning: 1) This pie is delicious. I mean it. So good. Oh, my lordy. Amazing. You’ll love it. You’ll wonder when you’ll have another excuse to make it. You’ll figure it out. I promise. Because tomorrow seems like a pretty good excuse to me. 2) This recipe requires a lot of beating. A lot. 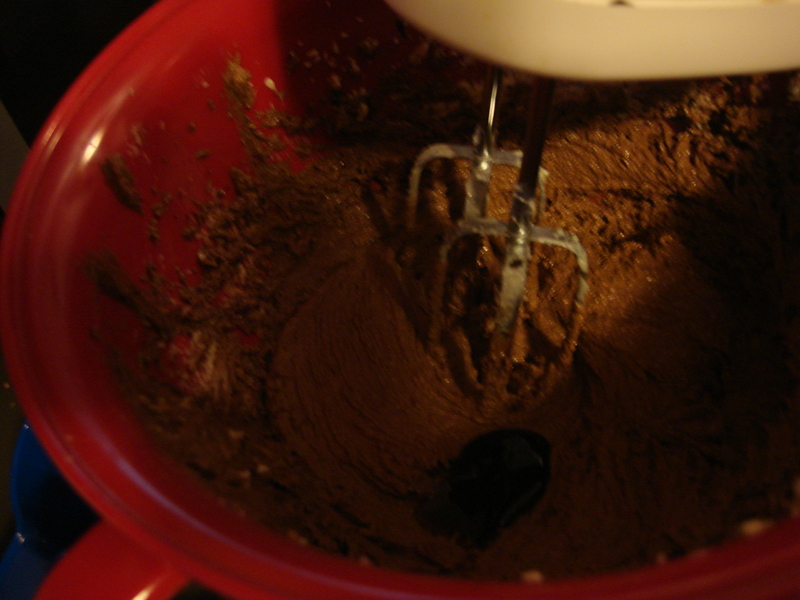 Your electric mixer will be tired. But, oh, the good. The good that will come!! 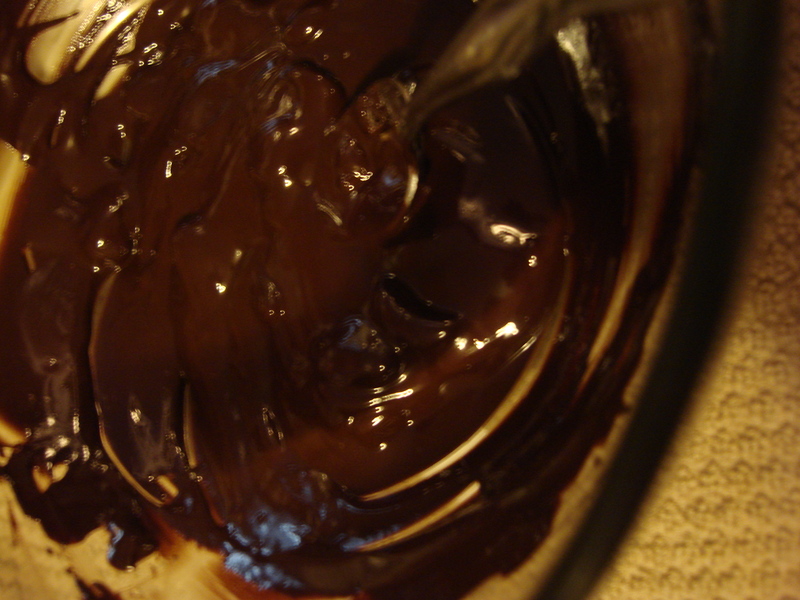 Melt the chocolate in a double boiler or in a microwave-safe dish. Set aside to use. Now begins the beating process. Beat together butter and sugar until fluffy. This will take a few minutes. 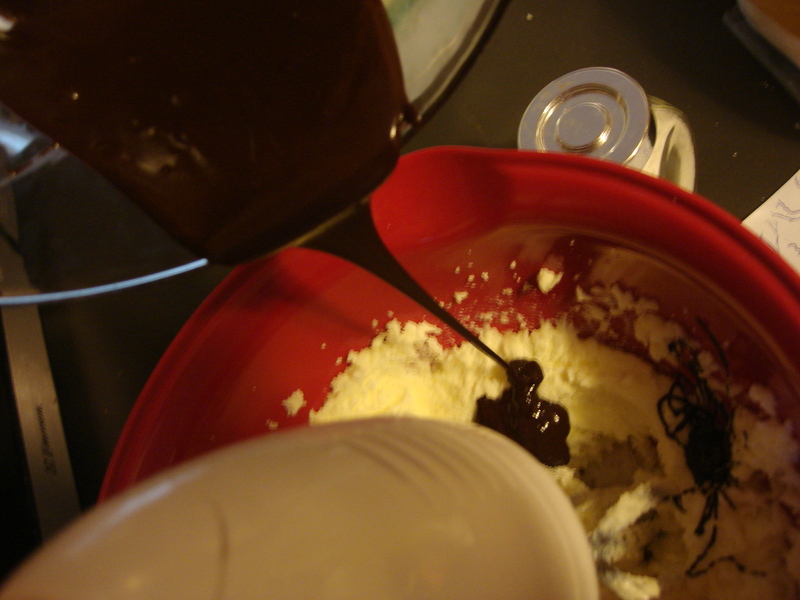 Pour in cooled chocolate, and add the vanilla. This is the second stint of mixing. Mix until incorporated. Add each egg one at a time. After each addition, beat five minutes. 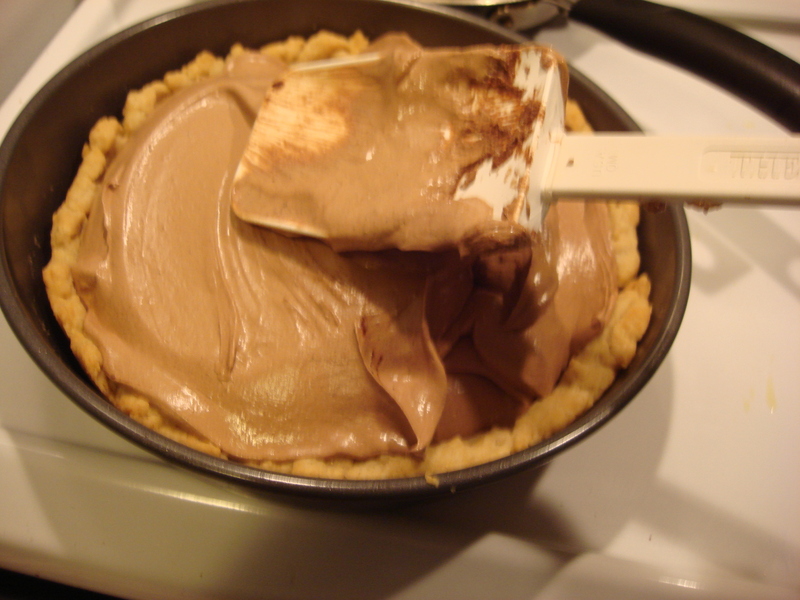 Pour well-mixed filling into baked pie shell. Smooth top. 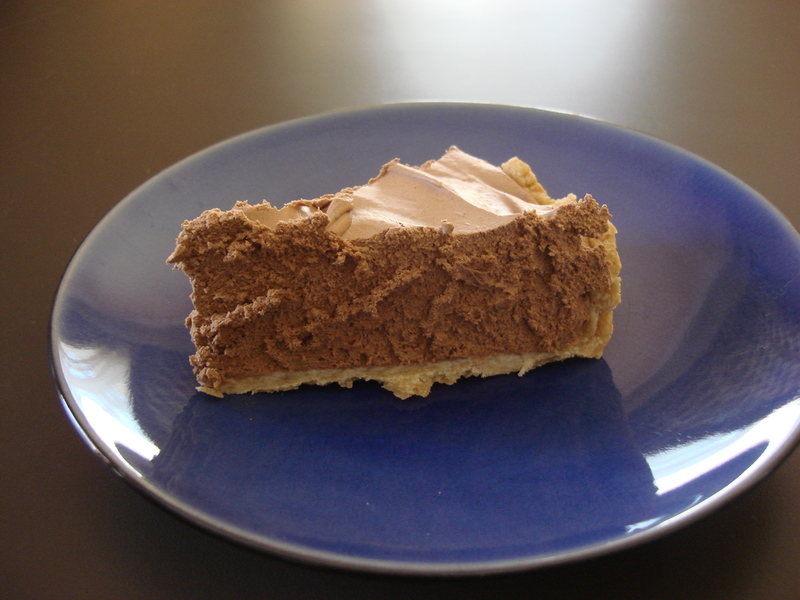 Refrigerate for at least two hours. Truth be told, over night is even better. 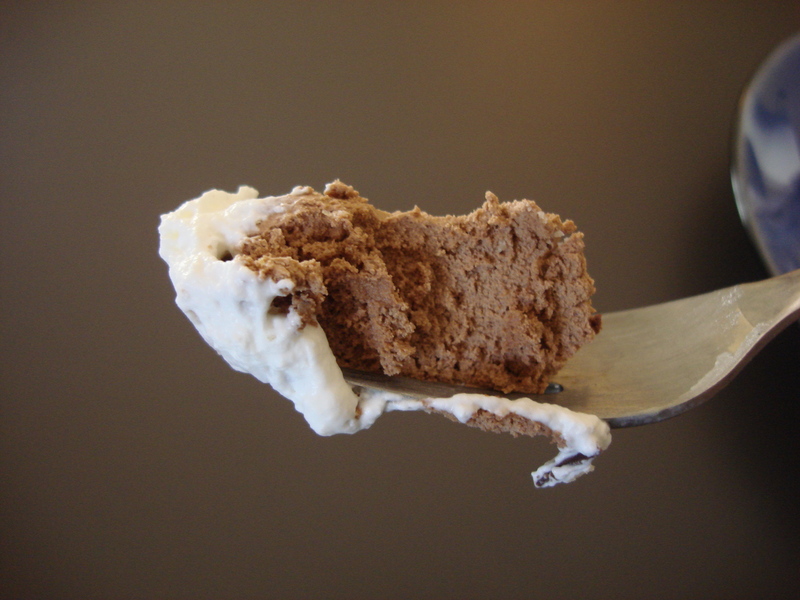 Take whipping cream and powdered sugar. Mix on high for a couple of minutes. Add a touch of vanilla. 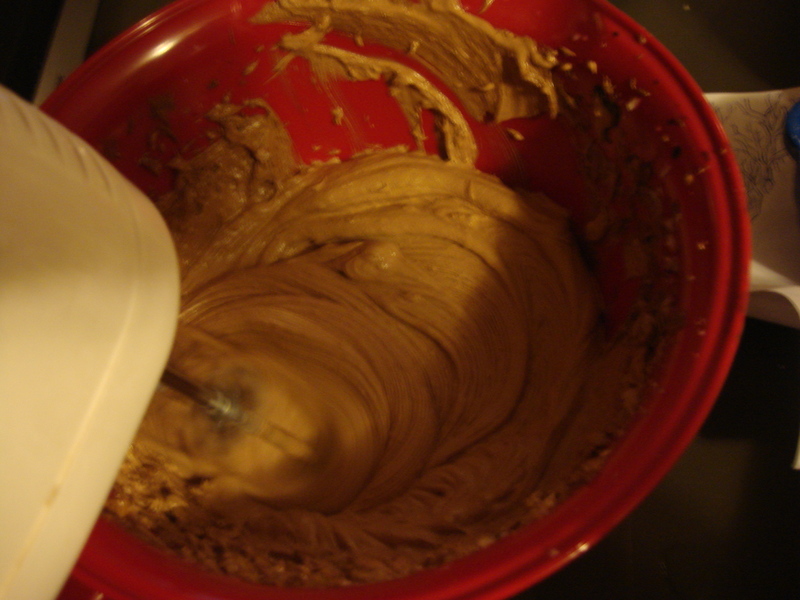 Mix until stiff peaks form. 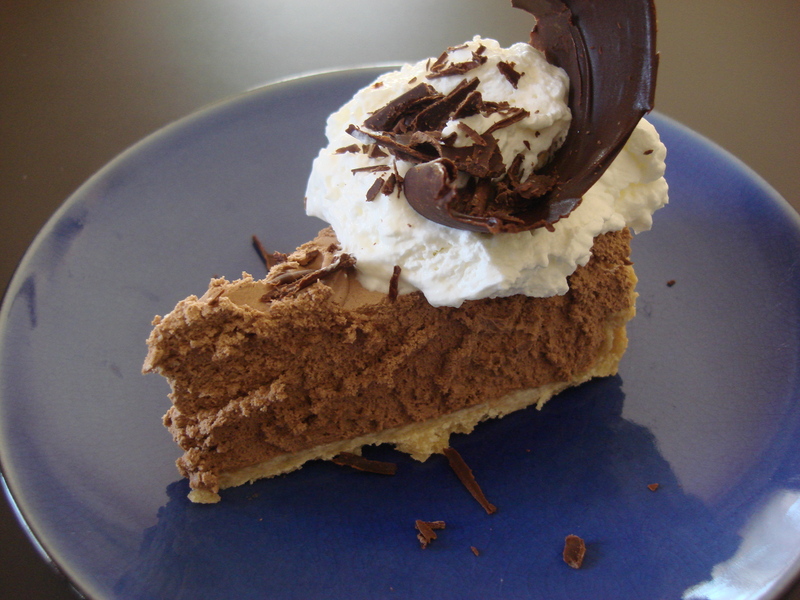 Refrigerate until you’re ready to top each slice. Now, confessions. This is only the second time in my whole life. First? Second. Hm, I’m not sure. I think it’s the very first time I’ve ever made pie crust from scratch. Success!!! 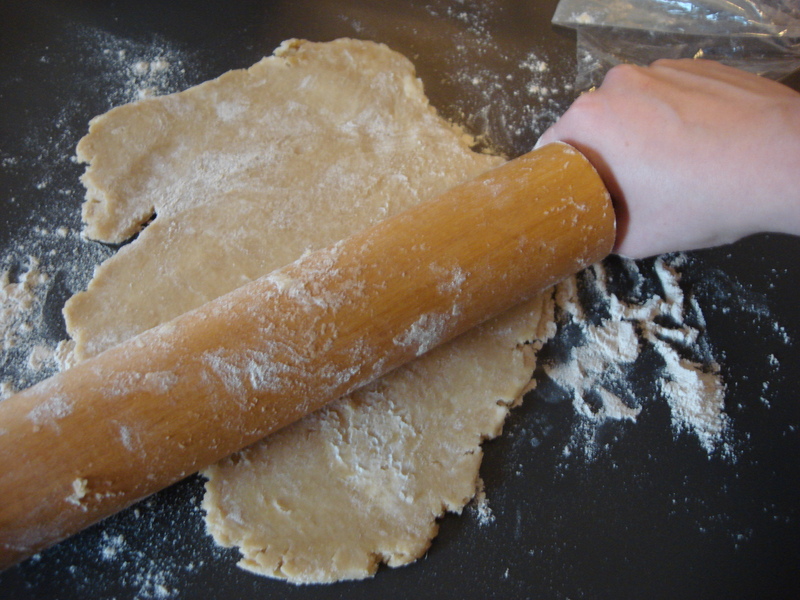 Use two knives or a pastry cutter to work the flour into the shortening and butter. It’ll look coarse and mealy and a little bit like pellets. 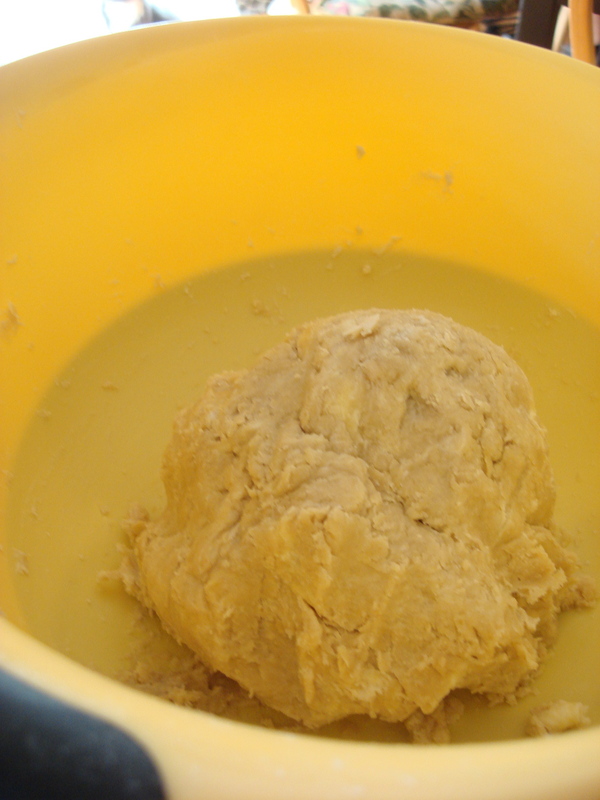 At that point, form into one mega ball of dough. 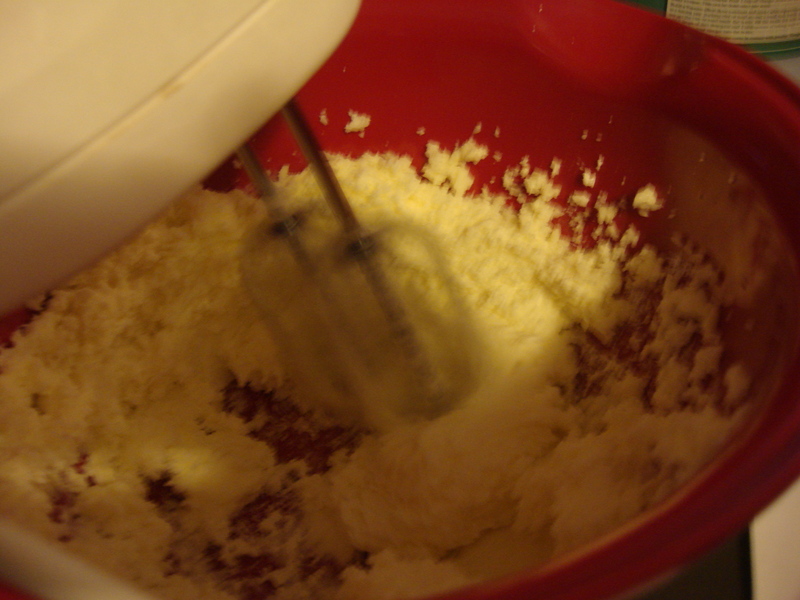 Beat the egg in a separate bowl before adding it to the flour mixture. Add the water, a tablespoon at a time, then the white vinegar, then the salt. 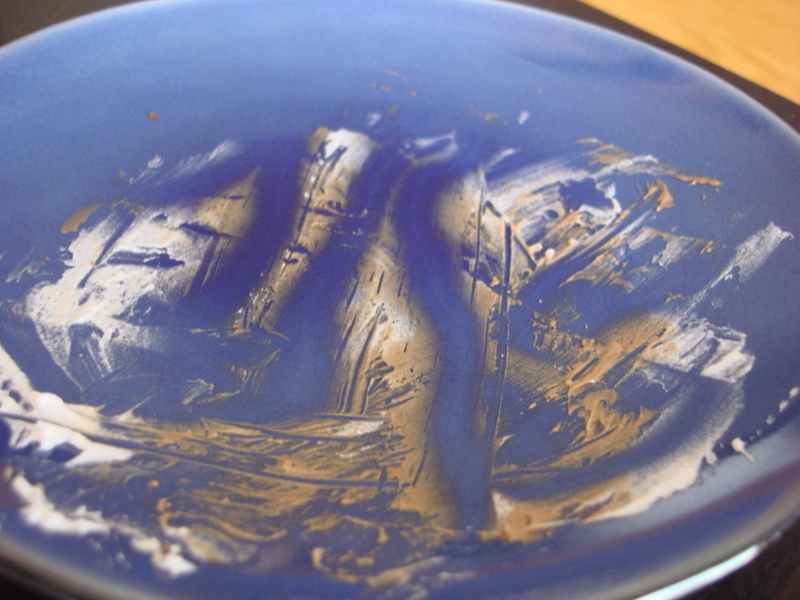 Stir until incorporated. Divide into three separate balls. Place into individual zip-top bags. 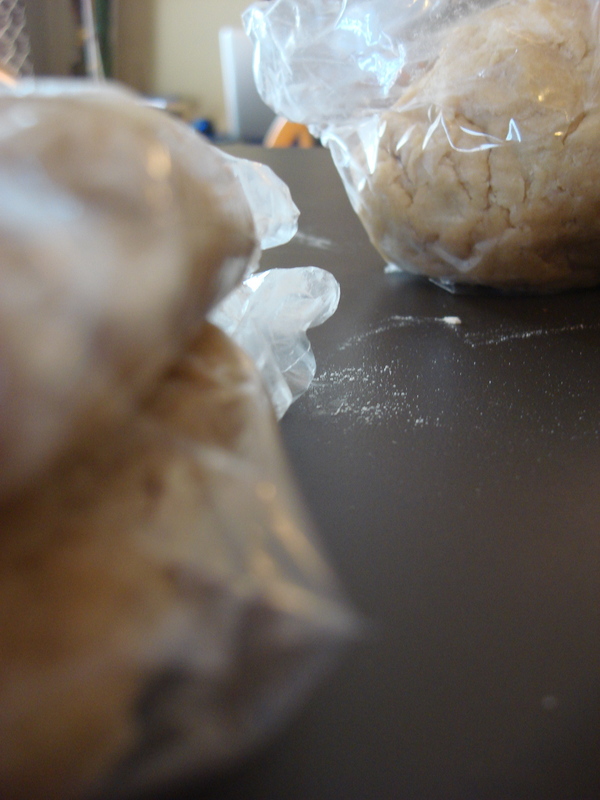 Slightly flatten each ball, seal the bags, then place in the freezer. If you plan on using any of these immediately, get the necessary crust(s) out after 20 minutes.